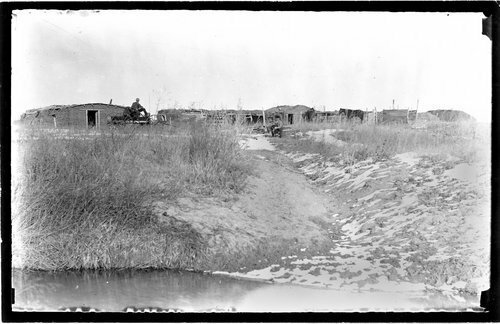 This photograph is possibly James Foster's sod house in 1889. The photo includes other sod structures,a person on a wagon, and an other person sitting in the yard with a dog. There is a trace of snow visible and a stream or creek in the foreground.